Christmastime is my absolute favorite season of the year. Beautiful shining lights adorning neighborhoods near and far. 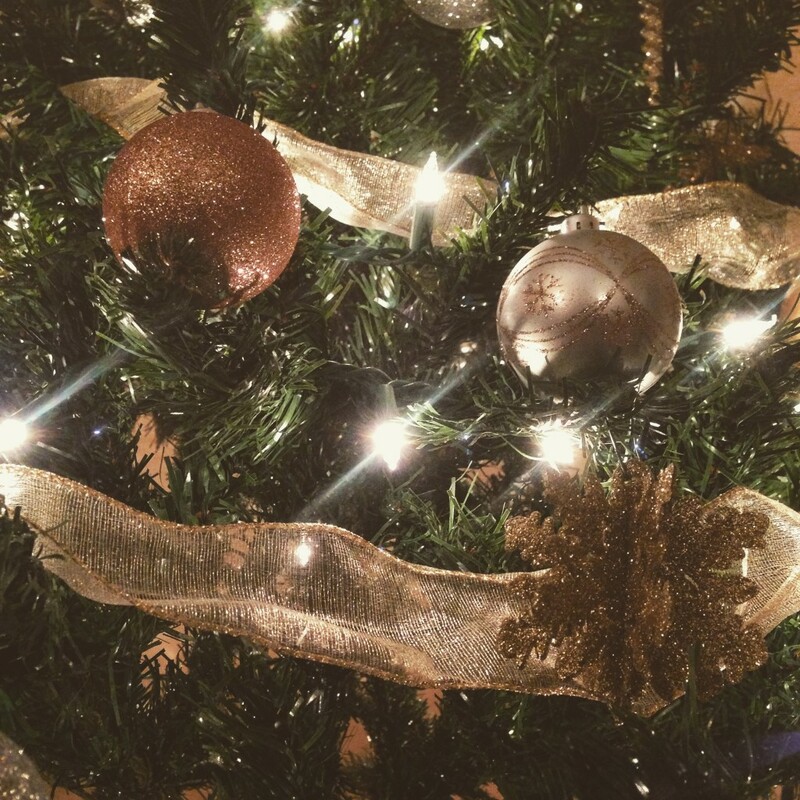 Sparkling decorations around the home. Hot chocolate by the fire. Soft, white snow gently setting the tone. Carols sweetly filling the air. Cookies and treats being prepared and consumed. And a spirit of giving that is tangible. Is it getting the best Black Friday deal for someone you love? Is it making sure you combine your ingredients just right so your sugar cookies turn out perfectly soft? Is it being known for giving the most extravagant gifts? Is it desperately counting down the hours until the day has passed? Is it a bitter reminder of those you have lost? Is it just another day on the calendar? After being diagnosed with cancer, my perspective on the holidays has changed. Where I once was consumed with stress over everything that came with the season, I now let anything that is not full of cheer slough off. Christmas to me is a reason to be full of joy and happiness, no matter your circumstances. No matter that you didn’t receive the gift you so desperately wished for. No matter that your cookies were burnt and crispy. No matter that your budget didn’t allow for all that your heart desired. No matter that the temperature is warmer than expected and snow ceased to fall. No matter that you received bad news. No matter that you can’t be home with your family this year. No matter that a diagnosis accompanies you this season. No matter that you’re sick, weak, and barely getting by. Christmas is an annual opportunity of reflection and celebration. No matter what we may face, the holidays can and should be celebrated. What really matters most in the holiday season is giving, loving, and gratitude. Instead of focusing on what we don’t have or what we can’t do, we should instead focus on the abundant gifts that we are blessed with. No matter how bad it gets, there is always something good in the midst of it all. I have every reason to complain and be bitter during this season. I’ve lost far too many friends and family members recently. I am in a fairly constant state of pain from residual effects of treatment. I have said goodbye to many plans and dreams that my husband and I had a long time ago. This will be the third year I celebrate Christmas with cancer. And, I may in fact be sick this week because I ingested another fair share of chemotherapy only three days before Christmas. I have my reasons to dislike this holiday. But I choose not to. In the end, I would much rather live a life of abundant joy no matter what circumstances I will face. I don’t want to spend one holiday bitter, angry, or aggrieved. I refuse to allow the junk in my life to decide the amount of joy and happiness that floods my heart. There is far more than perfectly baked cookies and the most trendy decor at Christmas. The reason we recognize this holiday is far greater than giving gifts, for we have been given the most magnificent gift of all. It’s Christmas… What really matters most to you? 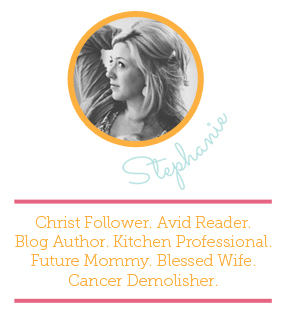 Today, I’m sharing one of the exciting things that I mentioned! I will be partnering with some of my absolute favorite companies to do giveaways. Ladies and gentlemen, we’re giving you FREE stuff! All you have to do is follow the rules and play nicely. This week, I have partnered with my wonderful friends over at Thrive Causemetics and we are doing a Countdown to Christmas giveaway. They are giving away a pair of their beautiful faux lashes with Infinity Lash Adhesives for you and a friend. Just enter and nominate your favorite Thriver! 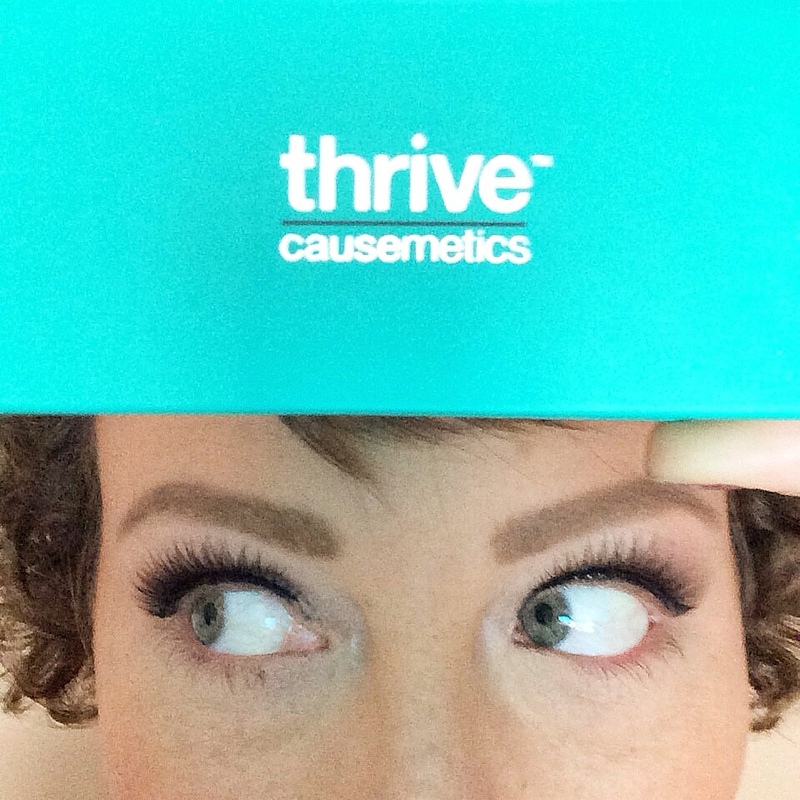 Thrive Causmetics’ mission is to positively impact women going through cancer treatment. Karissa Bodnar, the founder of Thrive, has been personally affected by this horrendous disease and is now on a mission to make women feel more comfortable and more beautiful through the hardest moments in their lives. Though the hair on my head is not falling out through this season of treatment, my brows and lashes sure are. I have worn faux lashes off and on for the last three years, and still had yet to find ones that I couldn’t live without. I went through brand after brand, and couldn’t find lashes that both felt and looked natural. Same goes for the adhesive — I just thought there were no good ones out there… Until I tried Thrive Causemetics. The lashes are soft and natural. They are lightweight and not visually impairing (if you’ve worn faux lashes, you know what I’m talking about). They fit comfortably on your lash line, and blend in with any remaining lashes. The adhesive is the best I’ve ever tried. Seriously. It goes on in this incandescent blue/purple color, for you to see exactly where you are applying it, and it dries beautifully clear. This adhesive is even waterproof! Several women have worn Thrive’s products during marathons and they have stayed put. This product is the real deal. To enter the giveaway, please follow these rules. Once completed, comment on the giveaway photo on Derailing My Diagnosis Facebook page letting me know you entered! *Contest begins on Monday, December 15, 2014, and ends Thursday, December 18, 2014. Winner will be chosen at random and will be announced on Friday, December, 19, 2014.